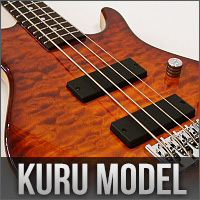 The lowest notes are voiced by our bass models. Concerning playability and sound, our basses are designed to melt perfectly into your hands, so that you can concentrate on just playing. In search of deepest tones and tunes.